What a weekend. 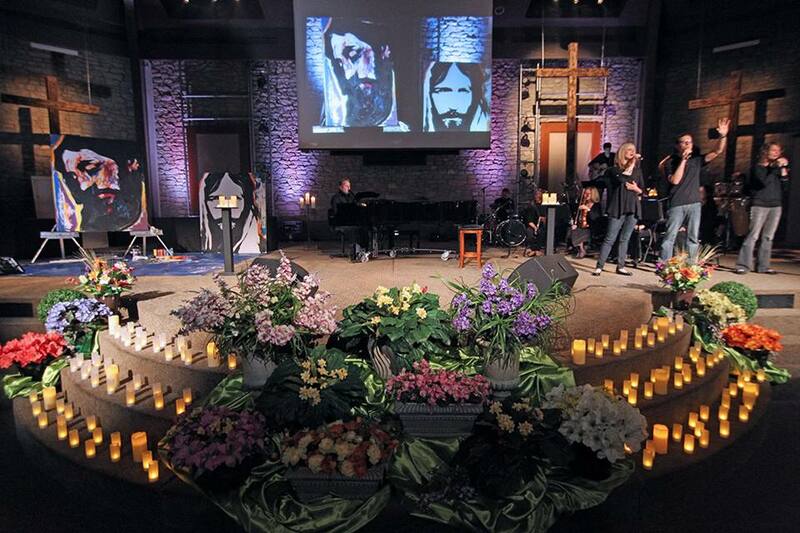 Easter 2014 at MPCC will always be an incredible memory for me, as we celebrated God’s Amazing Grace. I am so grateful for our Worship Staff and incredible volunteers, and a Pastor who ROCKS! We are so thankful for Greg & Stefanie and their willingness to share their stories with us – living trophies of God’s Amazing Grace! I often get questions about the songs that we sing in worship services so I wanted to share that information here. This is the set list from our Easter services on Saturday & Sunday; and, from Good Friday. I’ll also give you the source so that you know the artist who recorded it and what CD we took that arrangement from. Here is the song information from our Good Friday worship service.